Working and sharing information with others can be very beneficial. One of the great online locations is the numerous Facebook group pages. 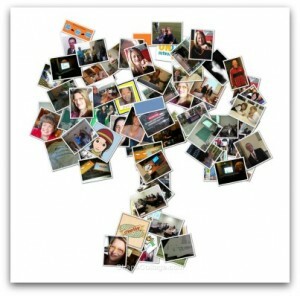 The FamilySearch.org has established several such site of different regional locations so people looking for information of places, people and events will share a common thread – the place. U.S. Northeast Genealogy Research Community – Maine, Vermont, New Hampshire, Conn., Rhode Island, Massachusetts, New Jersey, New York and Pennsylvania. Members nearly 2,000 strong. U.S. South Genealogy Research Community – covers the southeastern states from Florida to the Carolinas, to Maryland, Kentucky, Oklahoma over to Texas. Has 2,400 members. U.S. Midwest Genealogy Research Community – has over 2,300 members and reaches from Ohio, to Wisconsin, the Dakotas, Kansas, Michigan and Illinois. U.S. West Genealogy Research Community – has 13 states all along the Rocky Mountains to the Pacific coast including Alaska and Hawaii. Has 627 members. Other places in the world are not left out. “Europe Genealogy Research Community” and “Northern Europe Genealogy Research Community” has the nations of Sweden, Finland, Norway, Iceland and Denmark with 400 members. Then there is the Central European Genealogy Research Community, the Southern Genealogy Europe Research Community and Eastern European Genealogy Research Community. The British Isles Genealogy Research Community with 867 members which includes Ireland. All can be found with the titles here provided and searched in the Facebook search box in the top left corner. People who love genealogy and family history and are ready to help if they can. You just place a post asking about a specific topic or person. Provide as much known information so those offering to help know they are on the right track. There can be real advantage to being on a Facebook group page where everyone has a common goal in researching their family history from a given area. 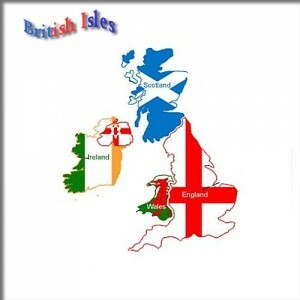 Photos: Facebook icon, Family Tree and British Isles.